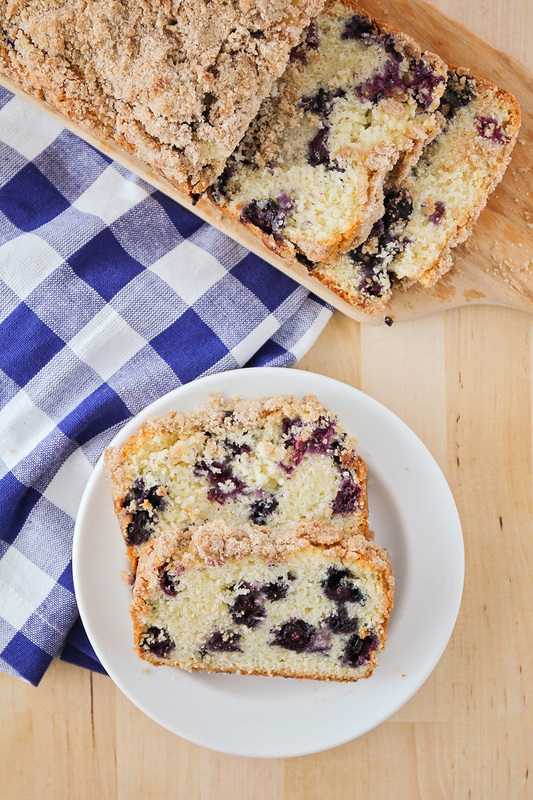 This blueberry muffin bread is so tender and sweet, and topped with a delicious buttery streusel. 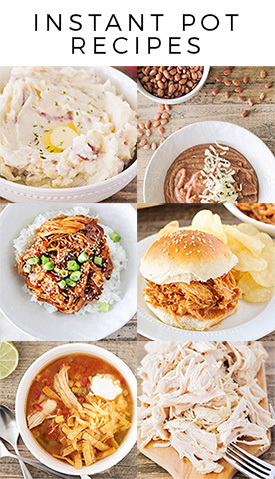 Perfect for breakfast or dessert! If you haven't noticed from my various Instagram posts, my husband seems to schedule himself to work for every holiday. When we lived in Utah, I didn't mind as much because I could just go hang out with my family while he was working. 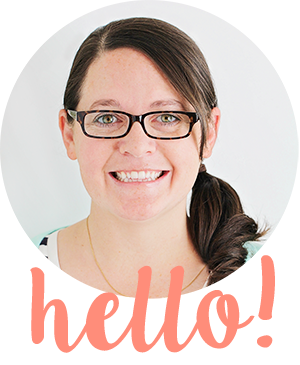 Since we're in Portland now, and my family is 700+ miles away, it just generally means that holidays are long, boring days for me and the kids. Everything is closed, all of our friends are busy with their own families, and I'm usually too exhausted to think of something fun to do. The holiday pay is nice, don't get me wrong, but it can be a little lonely and disheartening. I'm trying to train my brain to think about things in a more positive way, so lately I've been choosing to see it as something kind that my husband is doing for his co-workers. If he is at work on the holiday, it means another nurse gets to spend the day with his or her family. So it's really a good thing, right? Since I know from experience how hard it can be to work holidays as a nurse, I always try to bake a treat to send along with my husband to share with his co-workers. It has earned me (and him, I think) quite a positive reputation on his unit. (Incidentally, I visited his unit a few weeks ago to drop off some treats for nurses week, and found myself with my own little set of groupies. It was pretty awesome!) 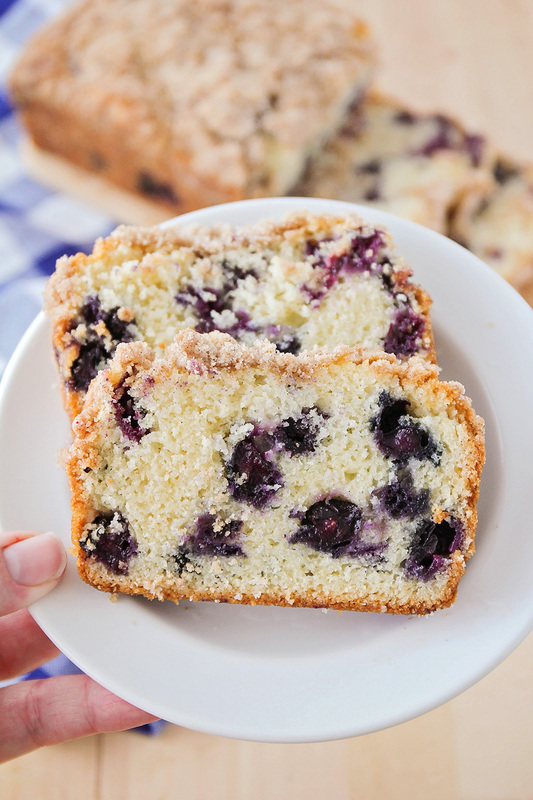 In celebration of Memorial Day today, I made this delicious blueberry muffin bread to share. It's a fun twist on my favorite blueberry muffins, and it turned out fantastic! 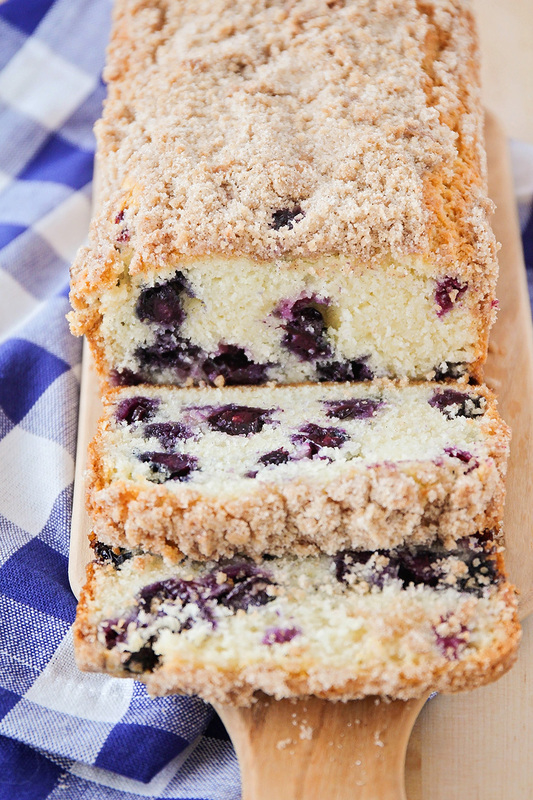 I don't know which part of this bread is my favorite - the plump and juicy blueberries, the buttery cinnamon streusel on top, or the sweet and tender muffin base. This blueberry muffin bread is perfect for breakfast, brunch, or dessert, or for sharing with co-workers when it's a holiday and you're stuck at work. I hope all those awesome nurses are enjoying their day today, and that a sweet little snack helps the day go by faster! Preheat the oven to 400. Spray a loaf pan with cooking spray and set aside. In a large bowl, whisk together the sugar, flour, baking powder, and salt. In a small bowl or measuring cup, whisk together the oil, egg, milk, and vanilla. Pour the wet ingredients into the dry ingredients and mix until just combined. Gently fold in the blueberries. Scoop the batter into the prepared loaf pan, spreading evenly. To make the streusel, whisk together sugar, flour, and cinnamon with a fork. Cut in the butter using a fork or your fingers to form a crumbly mixture. Sprinkle the streusel over the top of the muffins. Bake 35-40 minutes, or until lightly browned and a toothpick inserted in the center comes out clean. Any suggestions on how to make this with frozen blueberries? I would just toss the frozen blueberries with a tablespoon or so of flour so they don't sink in the batter, and then throw them in. It should work well, though they may bleed a little more into the batter and turn your bread purplish. 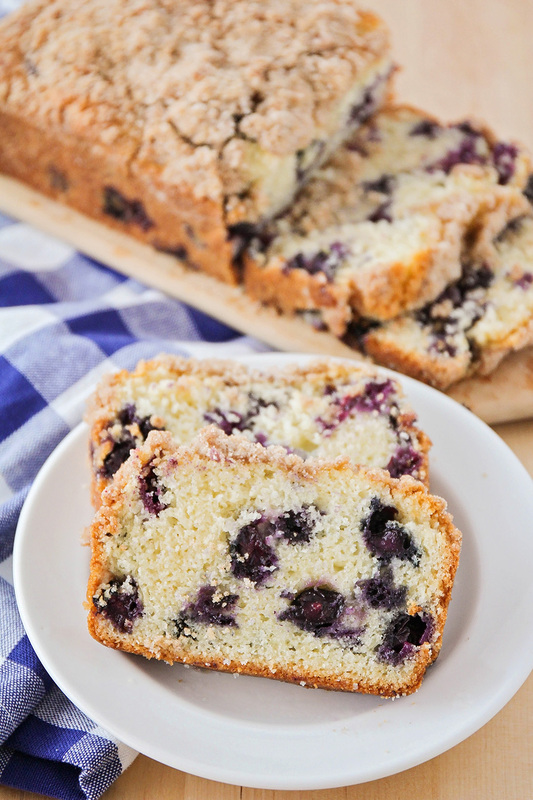 Duncan Hines printed a recipe booklet that used their Blueberry Streusel Muffin Mix to make Aha Blueberry Quick Bread. Since then they have changed to Muffin Mix so much that I no longer like it (and they may not even sell the changed product any more) but your recipe looks like it might work! The biggest difference is that it had a cream cheese layer which was 1 (8oz) pkg cream cheese, 1 egg, 1/2 cup sugar, 1 Tbs all-purpose flour, 2Tbs grated lemon peel beat with mixer then spooned onto 1/2 of the batter then topped with remaining batter and streusel.